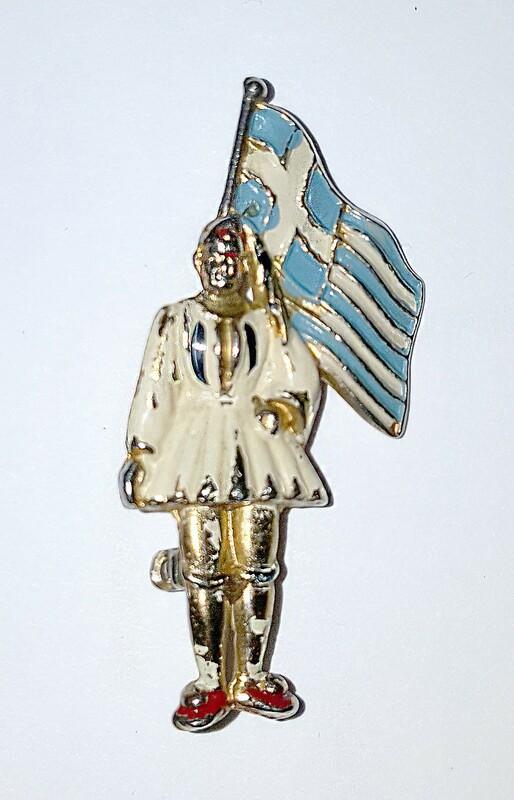 For senior Will Bradshaw, history came to life this year in the shape of a tiny Greek soldier, a lapel pin that his late grandmother had purchased more than 70 years ago to help support a relief effort for that country during World War II. The pin — and the story of why it ended up in his late grandmother’s attic — ultimately inspired a 35-page research paper Bradshaw produced as a requirement for History 4990, a semester-long senior seminar that every history major must complete. 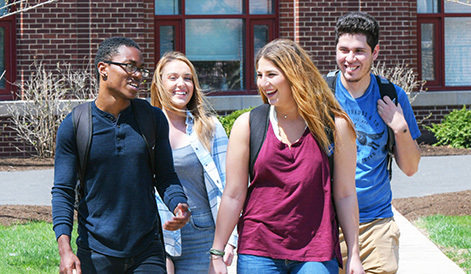 History 4990 is designed to introduce students to what professional historians actually do, according to Professor Gerald Butters, who teaches the class. The course not only helps students understand the concepts behind the discipline, he said, but also helps them develop the practical research and writing skills that are the practicing historian’s stock-in-trade. As part of the course each student is required to research and write an original paper — at least 25 pages long — that adheres to rigorous professional standards. Demanding, yes, but according to Butters, the requirement is just one aspect of Aurora University’s history program that sets it apart from others across the country. And that’s just what Bradshaw did. The pin that inspired Bradshaw’s research into his family’s experience in WWII Greece. 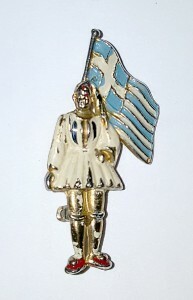 The reason why his grandmother purchased the little pin became obvious to Bradshaw as he began to research the role Greece played during WWII. Invaded by the Italians in 1940 and occupied by the Germans from 1941 through 1945, Greece suffered wartime oppression that is often overlooked today. Neutral and of little strategic significance, the country received scant relief — military, economic or humanitarian — from the Allies during the war. Only afterward, when Greece began to lean toward communism, did assistance come. Nevertheless, American citizens like Bradshaw’s grandmother, whose family had emigrated from Greece and who still had relatives there, were very aware of conditions in Greece during the war. Organizations like the Greek War Relief Association — the group that sold the pin she had purchased — raised millions of dollars to supply food and other items for their former countrymen. Bradshaw’s grandmother’s sister-in-law spent the war years growing up in Greece. She now lives in Warren, Ohio, and as part of his research, Bradshaw interviewed her about her experiences during the war and the Greek civil war that followed. Her firsthand descriptions of the German army marching into her home town, of her family’s daily struggle to obtain food, and of an enemy firing squad shooting local men in a mass execution all enliven what could have been a stale recitation of facts and figures. Bradshaw came to AU from Gahanna, Ohio. He’s played lacrosse here for all of his four years, the last three as captain. Although he will earn certification to teach high school history along with his bachelor’s degree, he probably won’t be pursuing a teaching career — at least not yet. He will return to AU next fall to start on his MBA while working as a graduate assistant coach for men’s lacrosse. “I feel that I can make the most change within the school system as an administrator,” he said, but he doesn’t rule out a career in coaching. Either way, Bradshaw said he wouldn’t trade his history degree for anything, not least of all because of the faculty he has been able to work with here during his undergraduate years. 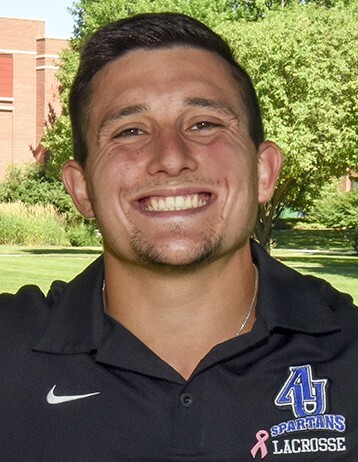 “The best part about Aurora University is that it is small enough to get to know your professors on a personal level,” he said. “And they want you to succeed. Dr. Butters’ advice to write about what I am passionate about — my family — helped me discover a part of me that I didn’t know existed.